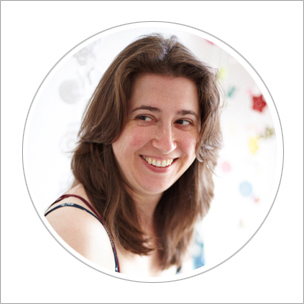 If you don't know of Mariska (as I didn't until I was invited to take part in this blog hop) let me tell you a wee bit about her first: Mariska lives in the Netherlands and is a mum to two young boys. She began her creative career as a 3D modeller creating graphics for the video game Killzone and after seven years of modelling guns and military paraphernalia she decided it was time for a change. 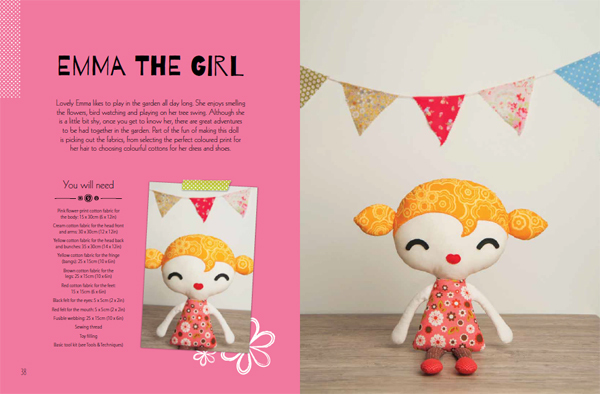 That's when she bought herself a sewing machine and designed her first plushie, Zumba. Not long after she began another adventure in her life and started a family. Now that her two boys are no longer babies she has more time to dedicate to her incredibly popular 'Fluffels' collection of designs, pattern and kits which she sells worldwide through her website and Etsy shop. Her characters are adorably cute and quirky with a wee bit of a retro vibe and as you might expect her two young boys inspire many of her designs such as the lion, whale and rocket. I love Mariska's story and can totally appreciate her need for a change in career direction. It is wonderful to know that her 'Fluffles' brand is going from strength to strength and an absolute pleasure for me to be reviewing her first book today. Currently the print version is on pre-order so I'm reviewing the digital version for you today, so here we go! 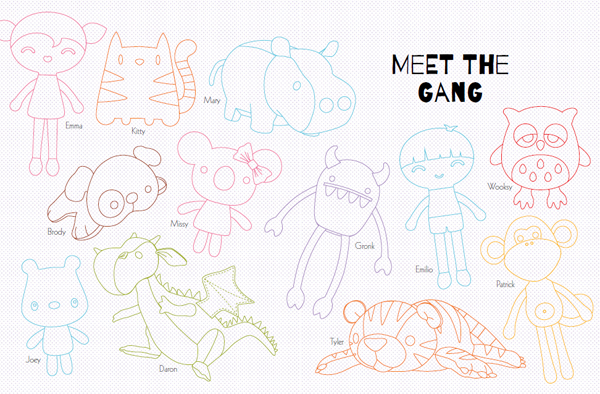 The book is organised into three main sections: 'Meet The Gang' comes first and includes clear step by step tutorials with detailed illustrations for each plushie design. 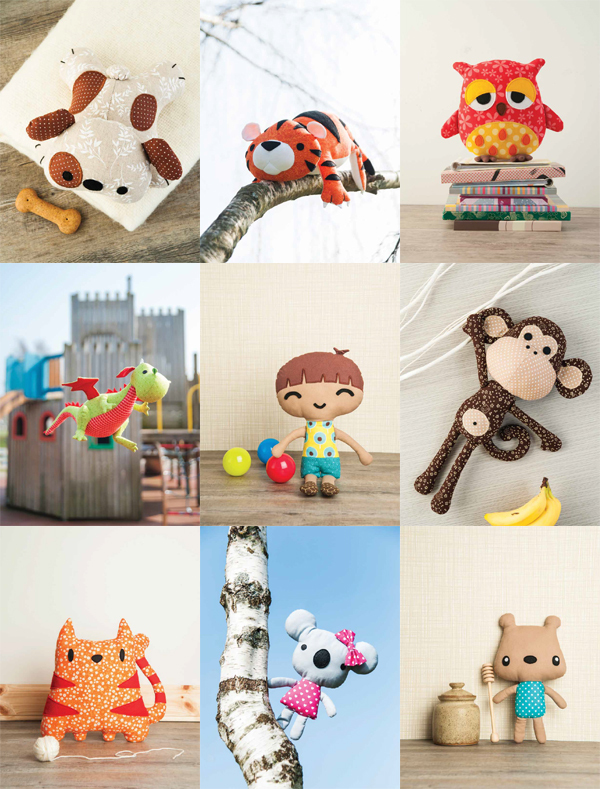 The designs are ordered by level of complexity beginning with 'Joey the Bear' (bottom right in the pic below) through to 'Daron the Dragon' (middle left). So if you are anything like me and find plushie making a little daunting then the more 2D style design of Joey is definitely the place to start. I am sure though that the more experience sewers amongst you would happily dive into a project like Daron and have lots of fun choosing different fabrics and making him your own. Having read through the instructions for most of these plushies they seem very clear and well written so really it's my own confidence in my less than accurate sewing skills that would stop me from trying Daron right off the bat. The second section of the book is 'Tools & Techniques' where Mariska guides you through a few basics about the tools and fabrics you will need to make the plushies as well as a short guide on stitching and stuffing techniques. There's lots of great info and tips in there so if you are new to sewing and working with different fabrics it is well worth reading through before you get started. What I like most about this section though is that it doesn't come before the tutorials so if you are an experienced sewer you can dive right into the good stuff! 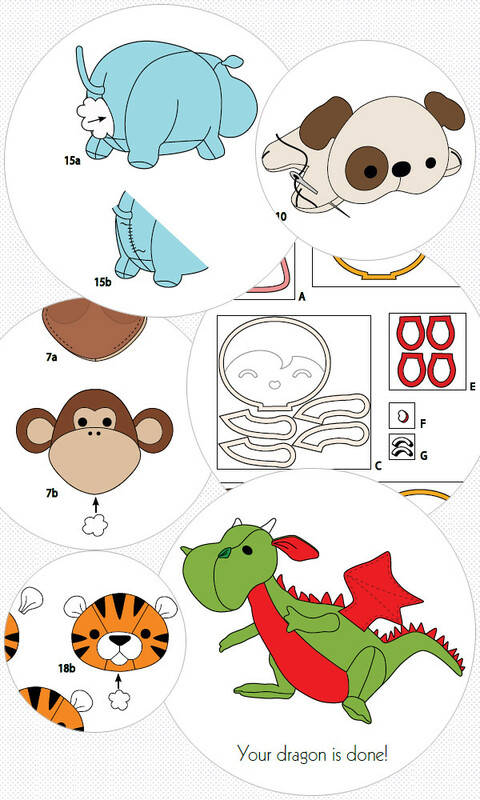 The there is the last section, the 'Patterns', all the templates you will need for each plushie arranged in the same order as the tutorials in the first section. Usually there's not much to comment on about this section of a book but in Sew Cute to Cuddle all of the templates are scaled at 100% so no matter which version of the book you have (print or digital) you can either print, photocopy or trace the templates directly from it's pages and get to work right away. Fantastic! I had planned to do a wee spot of plushie making last weekend but the aforementioned technical difficulties meant I couldn't access my copy of the book to print out my templates. 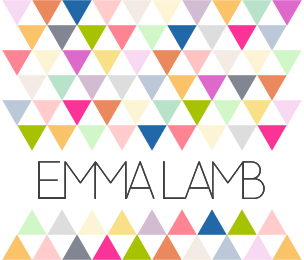 However this weekend 'Emma the Girl' will be on my to do list, because let's face it I couldn't really start with anything else could I!? How cute are her pigtails and retro floral dress!? So sweet! One thing I especially love about this book so far is the presentation. It has a slightly retro vibe that echoes Mariska's designs and the gorgeous array of cute prints and colours she has chosen to work with. Plus the fab illustrations below remind me of those that would appear amongst the pages of the Golden Hands craft magazines from the 1970s, but in this book they are beautifully updated. All in all Sew Cute to Cuddle looks like yet another great little craft book from David & Charles at Stitch Craft Create and I can't wait to hold the print copy in my hands. 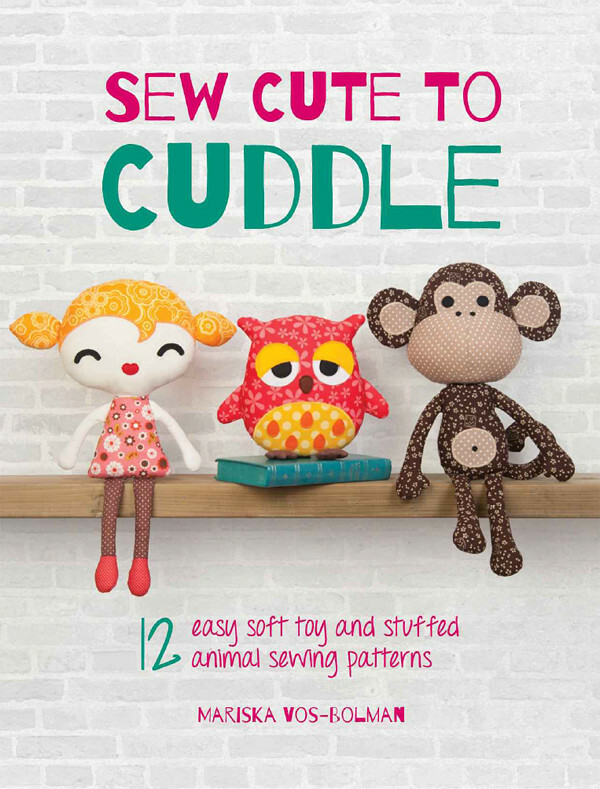 As I mentioned the print version is available for pre-order but if you order your copy through the Stitch Craft Create website you will also receive the ebook for free so you can get started with some cute plushie crafting right away! However if you are able to wait just a wee while they are also offering a print copy to one of you my lovely blog buddies! 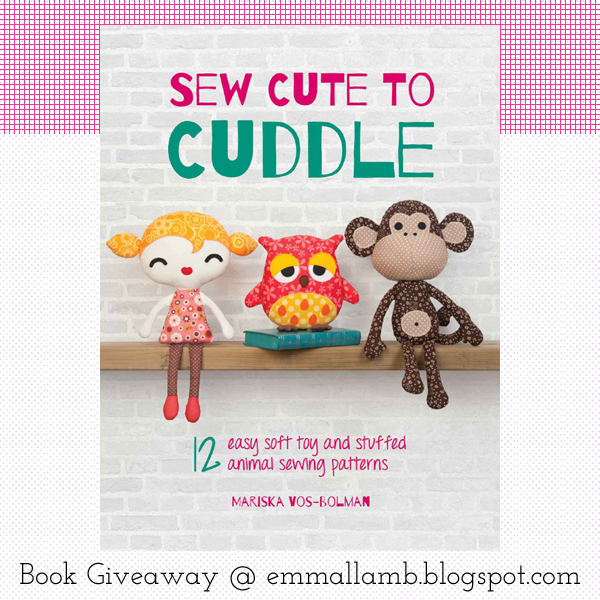 To enter this giveaway and be in with a chance of winning a print copy of Sew Cute to Cuddle when it is officially published in September all you need to do is pin or share the picture above then leave a comment below telling me which plushie you would make first or a few words about your top plushie making tips (because I'm going to need them if I'm making Emma this weekend!). And that's it! This giveaway is open worldwide so everyone is welcome to enter and I shall pick a winner from the comments in two weeks time. I know lots of folk might still be on their summer holidays right now so I'm keeping the giveaway open a wee bit longer than usual for you all. Lastly, be sure to check out the rest of the reviews (and giveaways) from the other blog hop members listed here. i would DEFINITELY be making the monkey first! i have a mentally handicapped younger sister who is monkey OBSESSED - her entire bedroom is full. she would love this and it would make an awesome christmas gift. Oh I think it would have to be the monkey......it is so cute!! :) Looking forward to seeing little Emma. What a gorgeous little book. Pinned on my board "Felt and sewing". Sewing plushies was my very first crafting passion when I was a teenager. I had an amazing pattern book and I made almost every toy from it. I used old clothes for material and stuffed them with cotton balls. The pattern book was lost unfortunately. I would make the dragon from this book first. I pinned the photo and also shared your post on Google+, if you don't mind. I've only had one project of plushie and I really enjoyed making it! (You can see it on my blog: thesewingshrimp@blogspot.com) So I can't wait to make the puppy! I would either make Brody the dog or Patrick the monkey! I will be sewing the whole gang for my little daughter, they would be some really great birthday and christmas gifts. I usually use the fillings from an Ikea pillow, to stuff my stuffed animals, because then I know they can be washed :) and it is often cheaper to buy a pillow at Ikea, then buying the stuffing at a craft/fabric store. I'll make Joey... because I'm a dummy with needle! my tip is for turning those thin arms and the legs inside out for stuffing. use a pencil with a rubber on top. after sewing around the arms and legs, place the rubber on the small side of the tube (the hands or the feet) and slide the fabric down the pencil. the rubber will prevent the fabric from moving. you have to slide the fabric down until you see the pencil with the fabric coming through the opening on the other side. I would love to make Missy the Koala first as she is too cute, and I could send her to my relatives overseas. But I really want to make the dragon too. I'd make the dragon, he's awesome! Pinned to my 'cool stuff to make' board. I love the shape of kitty cat, I'd probably make him first, I'd have to make that mini ball of yarn too! Would LOVE this book! I sew LOTS of plush friends and these would be perfect for my projects! Thanks for the chance! There are several I would love to sew first, but I saw the little pup on one of the previous blog hop posts and well, he's kinda stole my heart! ;) Thanks and enjoy making your sweet Emma....she's on my upper list for sure too! I'd try Patrick the monkey first. It may be a bit difficult but I have the perfect boy for it in mind! the book's on my bood board on pinterest. Thanks for reviewing it for us! I would throw caution to the wind and jump right into Daron the Dragon -- but I've made quite a few stuffed animals already. What a great book! I think I'd start with the monster to break in slowly then swiftly move on to that cheeky monkey followed by the dragon when I'm feeling full of confidence. 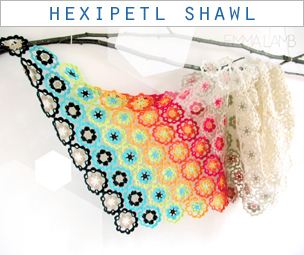 Such lovely little projects and they look like a really good way to improve my sewing skills. I would definitely first make the dragon! I love sewing softies with patterns provided by others. But I also really like designing them myself. Getting a chance to go through books like this and gain more experience at softie sewing help me with designing and sewing my own softies as well! The great thing about sewing softies, is that any imperfections only make them cuter! How sweet is that book - I would make the hippo first - he is so fat and cuddly - I have shared your info on my blog page . would love to make some Emilio dolls for my boys, especially my littlest guy who doesn't have many cuddly things to call his own. i haven't made many plushies, but i do think really good quality stuffing is key (i love to use hypoallergenic bamboo stuffing). I would have to make my daughter a Koala and a Sis doll simultaneously. One always needs a friend ti snuggle. Then make the owl for myself and a dragon for my son- whom is off to college.